Oftentimes, homeowners choose lower second mortgage rates by refinancing their initial home loan with a home equity loan. Aside from paying for a refinance, home equity loans can be used to cover for numerous big ticket expenses, such as unforeseen medical costs, university tuition, or large remodels around the house. The name of home equity loans comes from the fact that the equity of the home in question is used as a collateral for the second loan. A lien is placed against the property, which, in turn, renders its equity somewhat lower. Before you jump into such an endeavor, which is not completely bereft of risk, you need to understand that applying for a home equity loan will usually entail that you have outstanding credit ratings and a next to impeccable credit history. Aside from this, lenders will also look at your loan-to-value and combined debt-to-income ratios. First and second mortgages are both secured against your property. However, this alone does not make the two types of mortgages entirely alike. First off, you can only use a home equity loan to refinance a preexistent loan, not to buy a house. Secondly, home equity loans tend to be taken out for shorter spans of time than regular mortgages. Open end home equity lines of credit. There are distinct differences between the two types of second mortgages, which we further explore right below. 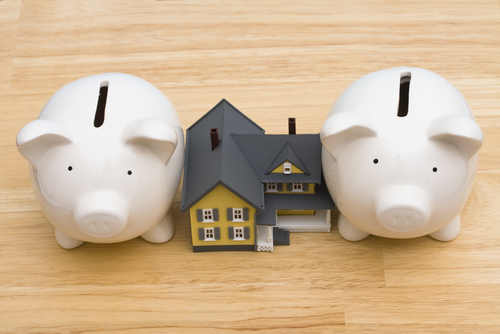 Is a home equity loan the same as a home equity line of credit? The short answer is ‘no’, even though they’re both routinely referred to as a second mortgage. In contrast with a home equity line of credit, which is a revolving loan, a home equity loan usually comes as a one-off payout, which has fixed interest. Home equity lines of credit (also known as HELOCs) allow the borrower to decide how many times and when they want to take out a loan against the equity of their property. The lending institution does set an initial cap on the loan, based on much of the same criteria they would use for fixed interest equity loans. HELOC rates can be lower than the interest you pay on the first loan. Typically, a home equity line of credit will be taken out for 30 years, with variable interest (which is usually calculated on the Prime Rate plus a specific margin). When you take out your first-lien home equity loan, you can expect the rate to be lower than if it is a 2nd lien. Most of the time, home equity line of credit rates are on par with the average US bank mortgage rates for a typical 15 year-long mortgage with fixed interest. The difference can be as little as .25 percentage points to as much as several percent. Home equity loan rates may be higher, but, on the plus side, they are usually fixed where HELOC rates are adjustable.